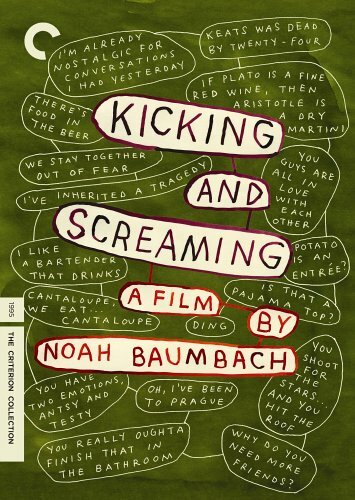 Kicking and Screaming is a comedy directed by Noah Baumbach, who also wrote the script from a story he developed with Oliver Berkman. 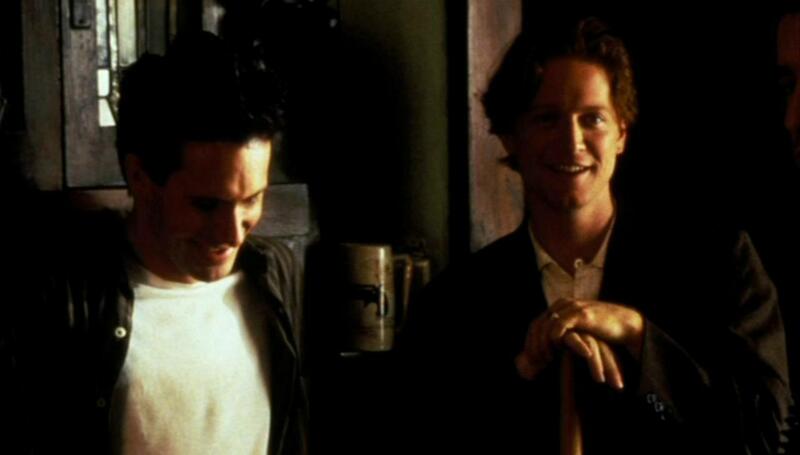 The film was first shown at the New York Film Festival in October 1995 and hit theatres later that month. It was released on VHS in October 1997 and on DVD in August 2006. Kicking and Screaming is an ensemble piece. It stars Josh Hamilton as Grover, Chris Eigeman as Max, Carlos Jacott as Otis and Jason Wiles as Skippy, a quartet of best friends fresh out of college and anxious about what to do next. Grover’s girlfriend Jane (Olivia d’Abo) has left him to study and pursue her writing in Prague, while he’s left alone to suffer writer’s block. 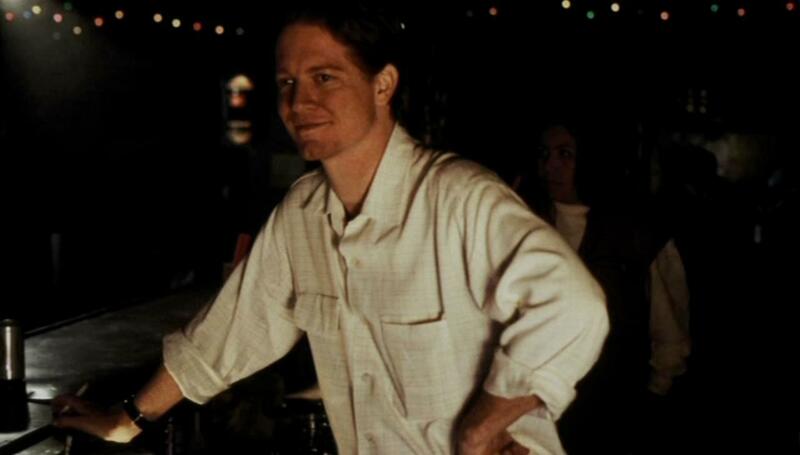 Max is stubbornly steadfast against any kind of change in the group’s relationship, which suits bartender Chet (Eric Stoltz) fine, seeing as how he’s a 10th-year college student with no desire to leave. Otis (Carlos Jacott) is the lovable oaf of the group—a mechanic engineer who seems to have no ambition for employment either, and can’t even bring himself to fly to Milwaukee because of the one-hour time difference. The group may also be in danger when Max develops a crush on Skippy’s girlfriend Miami (Parker Posey) and the 16-year-old Kate (Cara Buono). 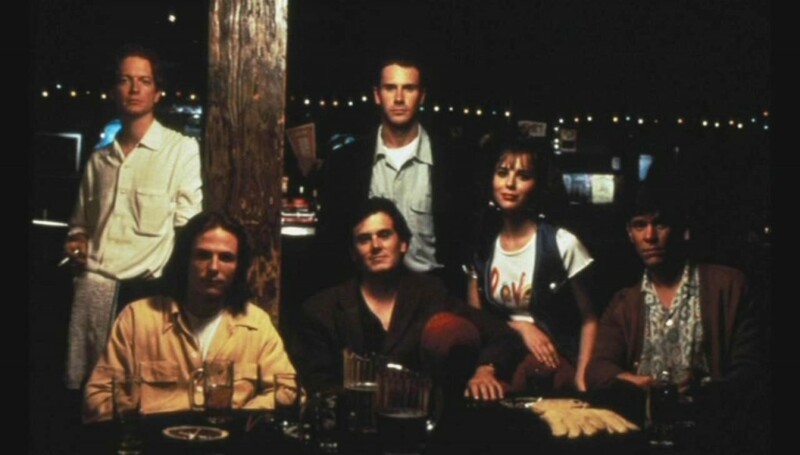 Kicking and Screaming has often understandably been linked with two previous Generation X comedies from the same producer, Joel Castleberg—Bodies, Rest & Motion (1993) and Sleep with Me (1994). Both these films star Eric Stoltz, who also figures in Kicking and Screaming, as a long-term philosophy major and bartender who’s remained on campus for ten years—in some ways a more advanced case of the malady affecting the four leads but in other ways more grounded and focused, because by now he has a child and cheerfully accepts the identity of being a permanent student as something more than a default position. 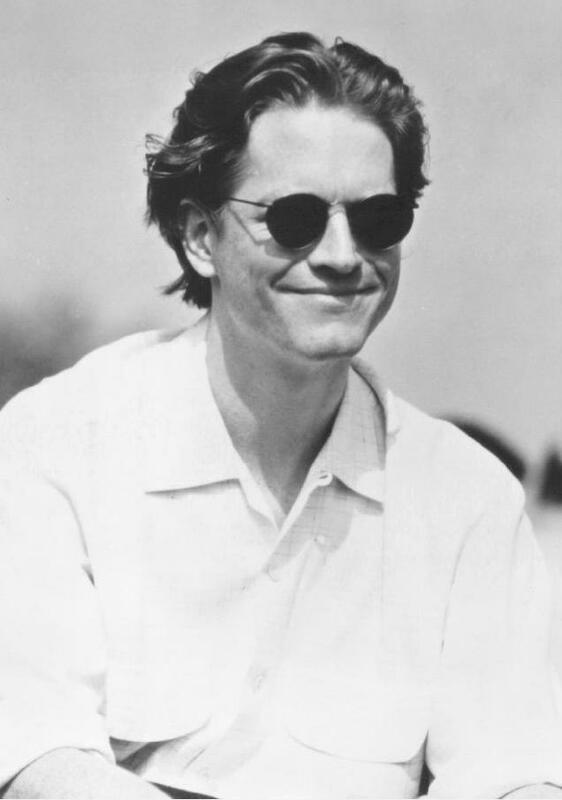 Baumbach’s gift for crafting characters out of flesh and blood (such as Eric Stoltz’s perpetual student Chet) gives the film an associative realism, an I-know-these-people familiarity, which helps partially offset their irksomeness. And though his dialogue is often too pleased with its own cleverness, his script’s marriage of the literate and the lowbrow never comes across as excessively contrived and, such as with a background chat regarding a theoretical fight between Freddy and Jason, seems prophetic about mainstream movie culture’s Tarantino-accelerated devolution into solipsism. More remarkable about Kicking and Screaming, however, is Baumbach’s directorial minimalism, his long, graceful takes and sly employment of rock and country music bestowing the comedic and romantic proceedings with subtle sophistication, as in an emotionally well-calibrated scene between Grover and his maritally separating father (Elliot Gould), as well as a final, hopeful image whose heartfelt poignancy is—after the preceding onslaught of smart-alecky gibber-jabber—all the more powerful for being so unexpected. As one of Criterion’s modern-film releases, it comes as little surprise that Kicking and Screaming’s anamorphic widescreen image looks sharp, with decent color saturation and a general lack of print blemishes. 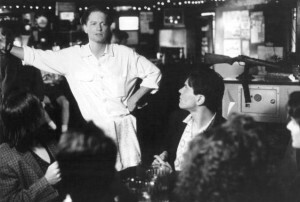 Black levels could be a bit better (the bar scenes lack some needed background clarity), but given Baumbach’s rather reserved aesthetic, the film’s okay-but-nothing-great video quality is perfectly in keeping with his intent. Similarly, the 5.1 audio is a thing of modest competence, delivering both the soundtrack’s Pixies and Bob Marley cuts, as well as its copious dialogue, with clarity. The strength of the Jane-Grover pair (and Hamilton and d’Abo’s pitch-perfect portrayal thereof) elevates the other characters’ non-stories and their performances. Eigeman’s restless, misanthropic Max is sort of a stock character for the actor, but his angry aimlessness and eyebrow-raising incidental salvation rings true. Wiles and Posey, as earnest Skippy and Miami, get short shrift in terms of character, but nonetheless exemplify a certain breed of college hipster couple. 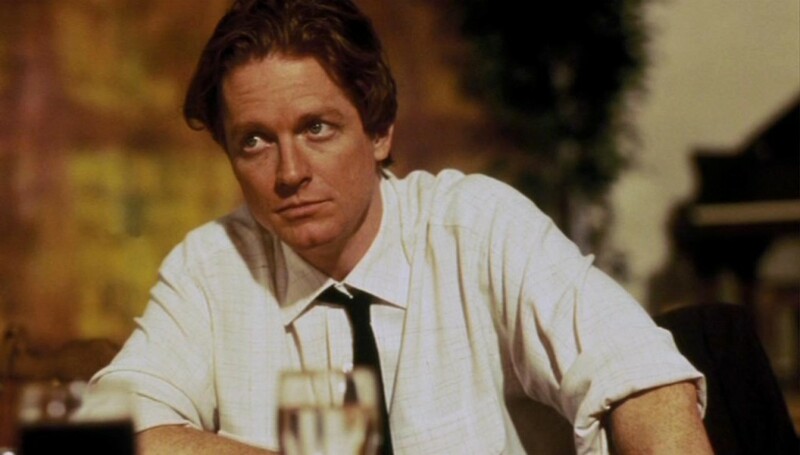 Jacott’s anxiety-ridden manchild Otis doesn’t have a whole lot of emotional depth, resigned to a role akin to Frankenstein as written by Woody Allen, but he steals every scene he’s in. Eric Stoltz (Killing Zoe), fulfilling the requirement that he and/or Parker Posey appear in every independent film of the ’90s, plays the minor role (expanded by the actor and Baumbach to ensure financing) of Chet, perennial student and bartender, who dishes out some bon mots and wisdom in a funny, thankless part. That most of these performers have gone on to become ubiquitous character actors is a testament to the deftness with which they play somewhat stereotypical characters and the shrewdness of their casting. The transfer is impeccable. The lack of a commentary track is a noteworthy omission, though Baumbach does participate in an interview new to this edition that illuminates some of K&S’s origins, as well as in new interviews with cast members Eigeman, Hamilton, and Jacott. 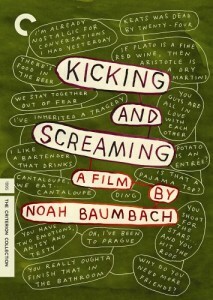 Baumbach offers a meager three deleted scenes with text introductions, as well as a standard trailer.